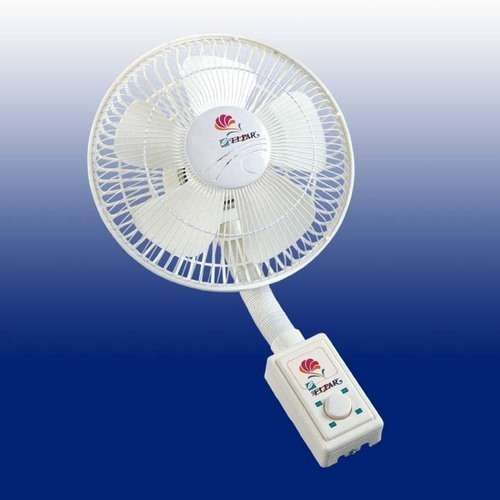 We offer premium quality portable fans. To ensure international quality, we rigorously adhere to the international standards of the industry. Owing to this, our range is well received across the industry circle and offers energy efficiency. To further ensure quality, our range is tested on various quality parameters at our in house testing unit. Multipurpose FanElpar Multipurpose Fan motor is ISI marked. It can be used as WALL, CABIN & TABLE Fan to give you gentle personalized breeze. It is provided with a plastic guard ring to minimize noise level. It can be indexed both horizontally and vertically. It is available in various color combinations and available in 300mm sweep. Elpar All Purpose Fan has a hi-speed fan motor of 2200R.P.M. It can be used as wall. It is provided with a plastic guard ring to minimize noise level. It is available in 300 mm sweep. It is also provided with 3 speed regulator to control the speed level of fun. We provide complete solution of Beauty Fan that is available in various ranges. These are designed with supreme quality of raw material and are easy to attach with Ceiling. It provides high power performance of air with no noise. 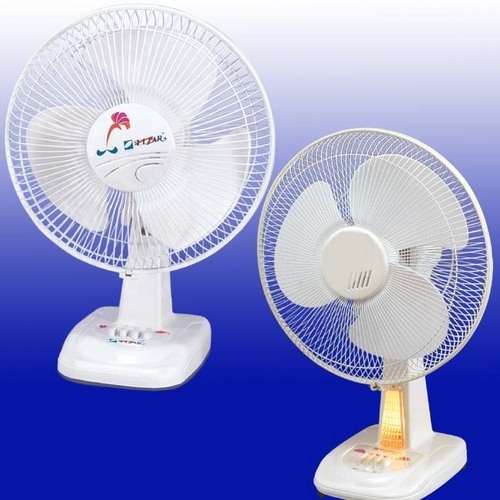 We do customization of these fans as per the need of clients. Beauty Fan is super sleek with telescopic arrangement for easy height adjustment, push button switch to control the speed. This fan is ideal for Shop, Office, Drawing Room, Bedroom etc. Our excellent range of Farry fedestal fan that we manufacture and supply in many commercial and domestic sectors and are designed in order to complete the demand of various clients These Fans are available in various models with better performance and different sizes. The Farry Pedestal Fan is elegant provided with telescopic arrangement for easy height adjustment. 500mm sweep, high air delivery, 120 spokes fan guard for safety. 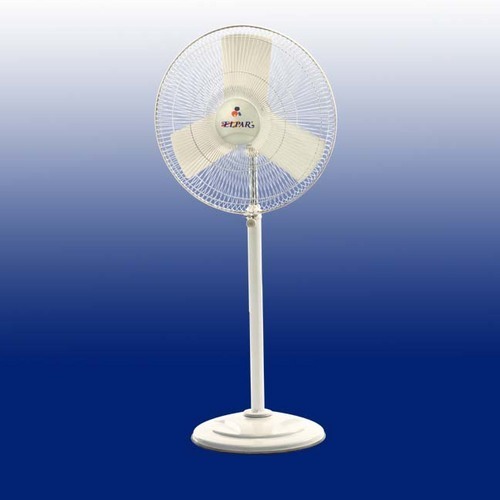 This fan is ideal for commercial places like factory, hotels, Banquet Hall, Marriage Pandals, etc. 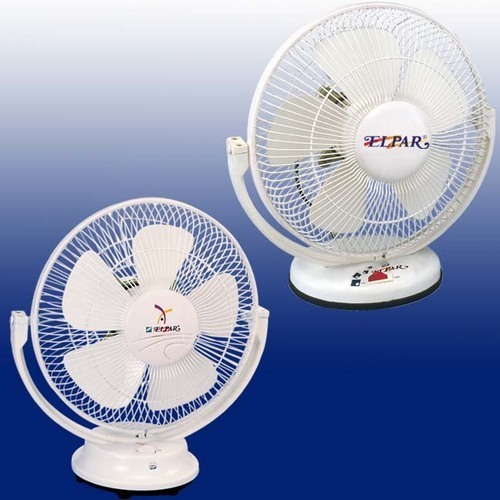 Elpar All Table Fan has a hi-speed fan motor of 2200R.P.M.